Welcome. We look forward to helping you reach your highest level of health. Please call us for your first appointment if you are ready to start care with us. If you would like more information prior to starting care, learn about our Free Consultation Offer. This will give you 15 minutes with one of our Acupuncturists to discuss your health care needs and you will be able to receive a free mini Acupuncture treatment without any charge or obligation. 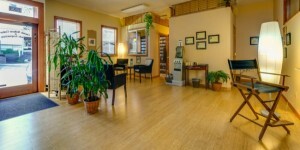 We invite you to read about Your First Office Visit and Your Acupuncture Visit. Feel free to read more about Allergy Elimination or massage. Many of our new clients have told us that reading this information greatly enhanced their experience in our clinics. You may wonder “How much does it cost?” Please see Insurance and Fees for more information. You may schedule your appointments here after you have received a password and a login in our offices. You are also always welcome to schedule in person or by calling any of our offices.